Some of the best Saiga mags are made by SGM Surefire. The SGM Surefire 12 round Saiga mags are made of glass-reinforced injection-molded composite. This Saiga 12 mag uses a precision wound steel spring with an aligned polymer follower. The polymer construction makes for slick internal surfaces, fast feeding and reliable operation. 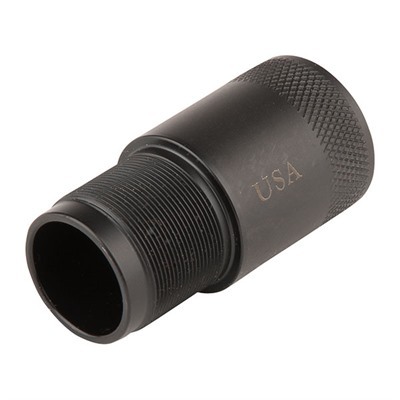 The springs on Surefire Saiga mags are externally coated for corrosion resistance. Horizontal ribs aid easy manipulation. These Saiga 12 mags are easily cleaned with warm, soapy water. They are CAD designed and manufactured in an ISO 9000 factory. For US Code Title 18 Section 922(r) part-source requirements the Saiga 12 shot mag counts as three parts. Check the price of the SGM Surefire Saiga 12 round magazine at Brownells. 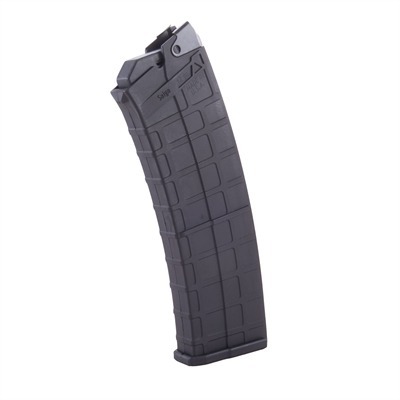 The PRO MAG 10 round Saiga 12 magazine is a lightweight molded polymer magazine with steel reinforced feed lips for optimum reliability. This Saiga 12 mag is ideal for three-gun competition shooters as its deep ‘waffle’ finish makes for the best possible grasp in fast mag changes. 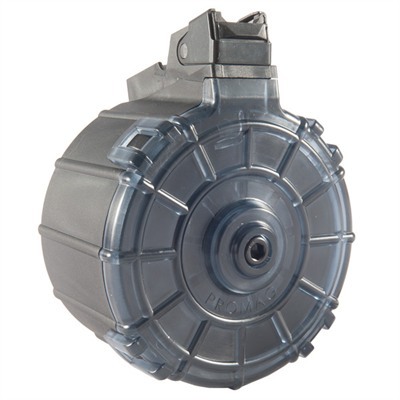 This mag is easily inserted when full with the bolt closed due to the compressibility of its spring. PRO MAG Saiga mags may need some filing to fit. Check the price of the PRO MAG 10 round Saiga mag at Brownells. A Saiga 12 drum mag is the ultimate in firepower. Saiga drums are ideal for three-gun competitions as it uses up the least time reloading . The MD Arms Saiga drum mag uses a closed body design to exclude sand and dirt. This magazine takes 20 rounds and is made of lightweight but very tough glass reinforced polymer. The clear front of the mag enables you to check how many rounds are left. Easily disassembled for cleaning, this Saiga 12 ga drum is designed for use with 2¾” low- and medium-brass, 12 gauge ammunition; for high-brass ammo, the manufacturer recommends installation of Gunfixer’s Improved Gas Plug. This magazine cannot be loaded onto a closed bolt with 20 rounds loaded. Check the price of the MD Arms Saiga drum mag at Brownells. This entry was posted in Magazines and tagged Saiga. Bookmark the permalink.